My name is Massiel Rodriguez. 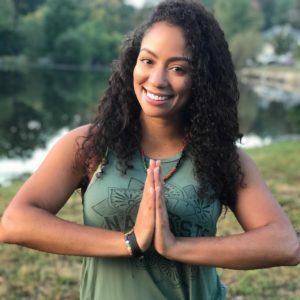 As a Yoga Teacher my goal is to share all the lessons I have learned through my own yoga practice and help others live their life to their fullest potential, mind body and soul. Yoga has played a very important role in my life for the past 10 years and has truly changed me for the better. I want the same for you. I want you to love the life you live. My hope is to empower YOU to be courageous (to take those leaps), to handle life’s challenges with grace, and uncover your life’s intention.You are worth it! You are worthy of investment. No more excuses. I want you to step out of your comfort zone, and make big changes in your life. I teach a soothing vinyasa flow and incorporate meditation and other key items you can apply on and off the mat. Please follow my link below to schedule a Yoga or Guided Meditation class now.